The LeEco Le Max 2 officially launched in India back in June and next month the phone will be enjoying a temporary price cut in the country. From October 1st to 6th, the Le Max 2 will see its price fall to Rs. 17,999, down from its Rs. 22,999 launch price and offering customers a saving worth Rs. 5,000. The temporary price cut will apply to the 4GB RAM / 32GB memory version of the handset. So, the slightly higher end 6GB / 64GB model will remain at its more premium price point. Other than that though, the two versions are the same. The Le Max 2 comes with a 5.7-inch QHD display, Snapdragon 820 processor, 21 megapixel rear camera, 8 megapixel front camera, 3,100mAh battery, and Android 6.0 Marshmallow. The phone is already a rather good deal and will be a steal once the discount kicks in. 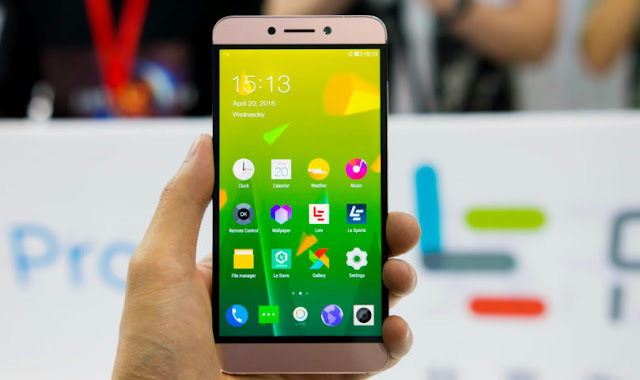 LeEco has also confirmed that the Le Max 2 will no longer be an exclusive to LeMall and Flipkart. From next week, the phone will also become available from Amazon India and Snapdeal. This discounted price will be found across all of these retailers, however the deal will be appearing at different retailers over slightly different days, which is going to be a little bit annoying to keep track of. To recall, the Le Max 2 was launched in two variants - 4GB/ 32GB & 6GB/ 64GB - by the Chinese conglomerate at its Future2 event held in June. The 6GB RAM variant was priced at Rs. 29,999, and no discount has been announced for it. The smartphone runs on Android 6.0 Marshmallow and packs a 5.7-inch QHD bezel-less 'Super Retina' display, 64-bit quad-core Qualcomm Snapdragon 820 processor, a 21-megapixel rear camera, 8-megapixel front camera, a 3100mAh battery, and supports 4G LTE in India, apart from VoLTE support. LeEco iterates that the Le Max 2 has a unique dual fast charging system, combining company's technology with the Qualcomm Quick Charge 2.0 tech, to provide 3.5 hours of battery life with a mere 5 minute charge, along with a Sense ID 3D fingerprint technology.